I will admit that I’m a Disney classicist. There isn’t anything quite like watching an old Disney movie to make your heart swell. Take Robin Hood for example. 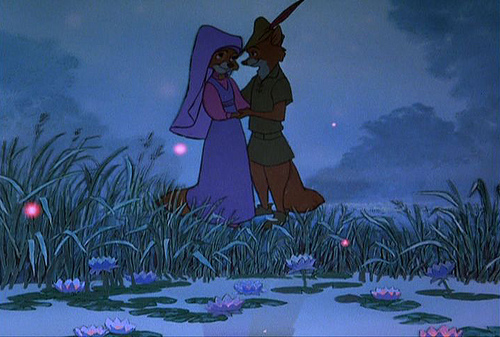 Who can deny the romanticism of two foxes in love walking by a waterfall among the fireflies? 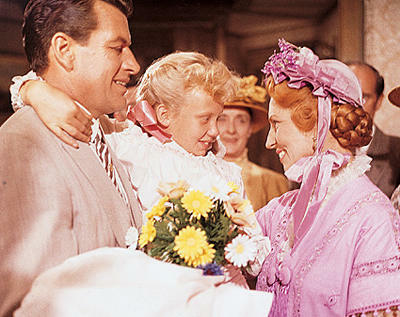 Or what about when Pollyanna inspires an entire town of old crabby people to be glad about life. Then they come to wish her well and inspire her when she’s depressed about being paralyzed? Tear jerker! But I’m pretty sure that the most heart wrenching scene in any Disney movie would have to be in Dumbo. Mrs. Jumbo is determined to be a “mad elephant” for trying to protect her son from the ridicule of the spinster elephants, and is locked away in the “jail” train car. With the help of Timothy Q. Mouse, Dumbo sneaks to visit her during the night. Baby Mine starts playing and the tears start rolling. This entry was posted in Lifestyle and tagged Disney, Dumbo, Hayley Mills, Robin Hood, Tears. Bookmark the permalink. Wow, marvelous weblog structure! How lengthy have you ever been running a blog for? you make blogging look easy. The entire look of your site is wonderful, let alone the content material!